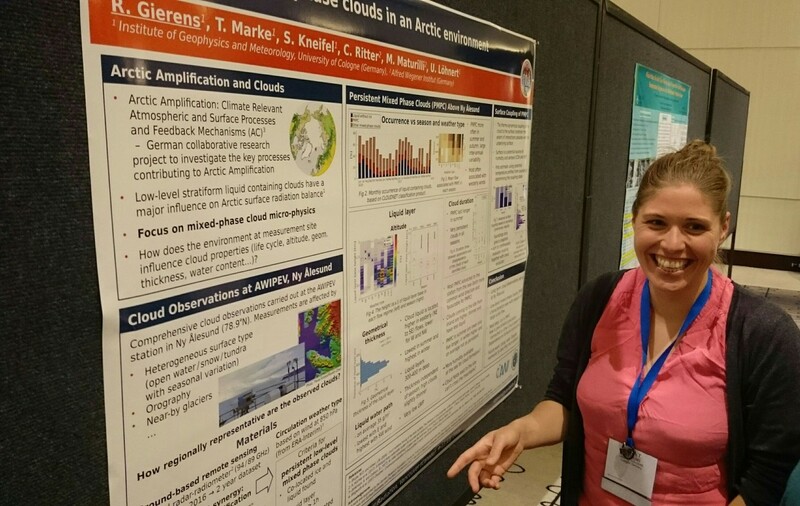 The American Meteorological Society organizes the two conferences, Conference on Cloud Physics and Conference on Atmospheric Radiation, jointly every four years. In 2018 the conference took place in Vancouver, Canada, which is a very nice city that we had a chance to explore before and after the conference. The event itself was a medium sized conference, with about 300-400 participants and over 800 submitted abstracts. For most of the week there were two parallel sessions, one for clouds and one for radiation, but some of the sessions as well as the poster sessions were joint. The topics are so interconnected, that it makes sense to arrange the conferences together, but sometimes it is difficult to choose which talk to attend, as there are many very relevant and interesting topics. There were only two posters sessions, with a total number of 297 poster presentations. You can imagine how busy those sessions were! 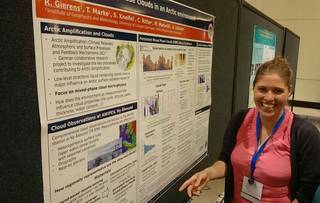 My presentation was in the first poster session of the week as part of the “Mixed-Phase Clouds”-session. I was positively surprised by how many people were interested in my work, and during the session I had no time to see any other posters because I was busy at my poster from beginning to the end. I had several nice conversations, and got some very good feedback and ideas for my work. Luckily the posters were hanging for the entire day and the next day as well, so I had the possibility to check out some of the work by others. Not only were poster sessions busy, but the breaks too. Many researcher who work in the same topic as I do and many of the people I actively collaborate with were attending the conference, and the breaks were mostly spent with exchanging recent results and ideas about future work. After the 5 days I was overloaded with impressions and ideas. I learned an unbelievable amount listening to the talks, and had many interesting discussions. The evenings were spent with old and new friends and colleagues, and almost without exception with great food. All in all it was an amazing trip, and quite likely one of the highlights of my PhD.